Moore, Johnny Ray (author). Wummer, Amy (illustrator). The Story of Martin Luther King, Jr. Nashville, TN: Worthy Ideal Kids. 2016. Born in 1929, in Atlanta, Georgia, Martin Luther King, Jr. was the son of a preacher and a school teacher. Exceling in school, Martin liked to learn, and do as other children his age did. Unfortunately, he wasn’t allowed to due to his color. When grown, Martin Luther King, Jr. became a preacher and spoke with over 200,000 people about his dream of not being judged by skin color. As a result, everyone is welcome to dream and live their dreams, regardless of color. Packaged in a chubby board book, The Story of Martin Luther King, Jr. is friendly in verse and charming in illustrations. With important words highlighted in the text, colorful pictures throughout, and a sturdy design, this book not only teaches an important message about the contributions made in history but is very child friendly. Perfect to share with young children or as a beginner reader, it is timely as we celebrate Black History Month. I look forward to many more in the series, highlighting all people. 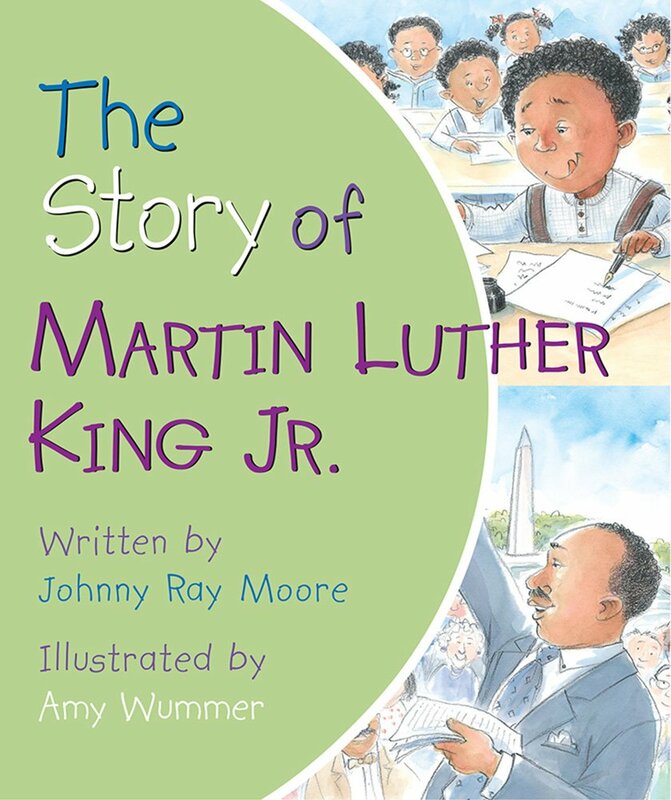 This entry was posted in Board Book and tagged Board Book, History, Inspirational, Matin Luther King Jr by Savurbks. Bookmark the permalink. Great post…sounds like a great book to share with our youth. Absolutely. Look for more books in this series celebrating contributions from people of all backgrounds.